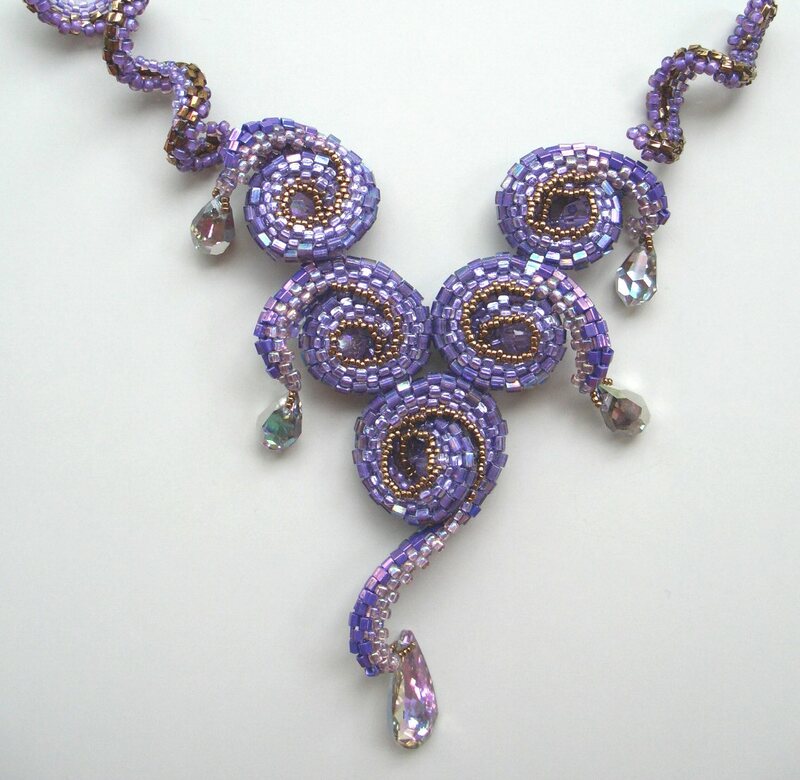 Description: This is one of the first spirals I designed. It used two different sizes of 8/0s and 8/0 hexes to get the curved shapes. I now have an easier way to form spiral shapes!